Here’s a commentary from me, just published in Nature . Everyone is getting in a froth about gene edited embryos and talking about the need for ‘conversations’. I am making the point that the really urgent conversations that need to be had are about genomics which is now entering mainstream NHS care, rather than about a technology which is many years ahead and likely to be for the very few. I say this particularly in the context of the UK Chief Medical Officer’s report ‘Genome Generation’ which calls for a social contract between patients and the NHS, especially about the use of data. Here’s a piece that I wrote for the Mail on Sunday about the Princess of Wales and the furore over a documentary revealing tapes recorded by her voice coach. I was a rookie charity organiser aged 26 and Diana was a rookie princess when we first met in 1982 at an event, ‘The Brilliant and Beautiful Evening of Fashion’ at London’s Guildhall. We got on famously. I called her ‘Miss’ and she mocked me for my short skirts and my ever constant clipboard. I watched her grow from anxious ingenue to confident world superstar and she was a very important part of my life for over a decade. After her death, I became a Trustee of the Diana Memorial Fund. Although it is now two decades ago, the week between her death and her funeral was one of the most extraordinary in British history and remains sharp in my memory. And here’s a pic of the World Energy Expo. 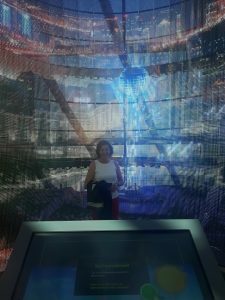 I recently visited Astana in Kazakhstan for the World Energy Expo where I facilitated two conferences for the Future Energy Forum. 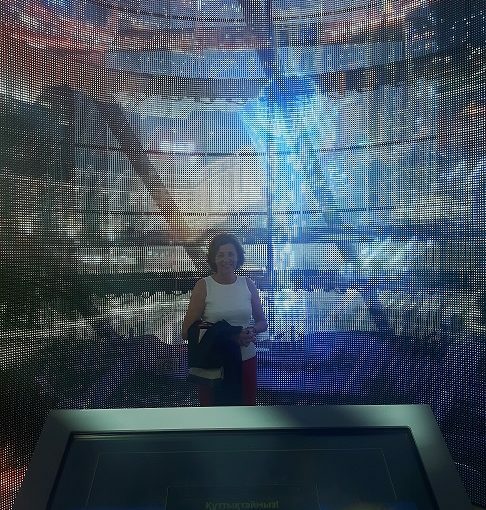 Astana is the capital of Kazakhstan and the Kazakh Expo pavilion (which was inside a huge ball) was outstanding, incredibly well presented and thought out. After going up in a lift to the top, you made your way down through different levels, with each one representing a different sort of renewable energy – solar, wind, biomass, space and so on. It was fascinating. I watched a lot of very excited Kazakh children in the space section and wondered if a decade or so hence, they will be the astronauts and engineers of the future, having been inspired by their visit to Expo as children. In the UK I am sure that we will have a Tim Peake generation of engineers in the same way that there is a generation (who constantly tell me this) that were inspired to take up engineering and science by watching Tomorrow’s World. 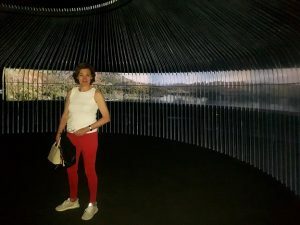 I also visited the Great Britain pavilion which has a fascinating installation of a yurt made of perspex struts which lit up when you touched them, completely surrounded by a landscape panorama. As the yurt lights came on, so the representation of light in the corresponding piece of the panorama changed, going from day to night or from sunny to cloudy. Sounds weird on paper but it was mesmerising to watch. I was in Astana to facilitate two conferences of the 12 conference series, ‘Future Energy Forum’. Kazakhstan has vast reserves of oil and gas and a booming economy based on oil but seem committed to a future in which renewables become more and more important. They are especially interested in energy efficiency, as well they might be with a temperature range of over 80 degrees, running from +40 in the summer to -40 in the winter (Oh, and add a windchill factor of another 20 degrees). I really enjoyed talking to young Kazakhs in particular at the conferences.